Skeen & Kauffman provides dedicated representation in all matters pertaining to elder law, long-term care planning, and estate planning and administration. Caring for the elderly and disabled is one of our greatest responsibilities. Too often it is complicated by difficult legal and financial considerations. While there are a number of federal and state programs that can help to ease financial concerns, including Medicare, Medicaid, Social Security, and Veteran's Benefits, without careful and knowledgeable attention to eligibility requirements, crucial benefits may be unavailable when you need them most. 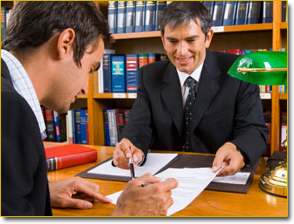 Our attorneys assist clients in accessing vital services. Sometimes an illness renders a loved one unable to make decisions regarding their own health and wellbeing. It's best to be prepared for this circumstance through advance planning. However, when a loved one is endangered with such a plan in place, Maryland courts can be petitioned to step in and appoint a guardian to accept responsibility. Our attorneys can assist in exploring all options to ensure that your loved ones are protected under these difficult circumstances. For more information or to schedule an appointment with our law office, please contact our Maryland, Virginia and D.C. attorneys via e-mail or call 443-478-3720.